There are countless articles and writing courses that tell you to know you main characters before you start writing. Not just what they will do throughout the manuscript, but why they do those things. What is their motivation, history, personality? The list goes on. The need to know your character like you would a friend is crucial to ensure they are consistent throughout the manuscript. Even if there is character arc and they change their behaviour or goals, it must make sense. It must fit with what the reader knows of the character. And, they must all have a look that is uniquely their own. The trouble is that sometimes, our characters start to all look alike. My female leads tend to have a particular body type, hair colour etc. and I needed something very different for the book I’m about to start writing. I knew in theory what my protagonist would look like, but was having trouble nailing down the details of her face and clothes. So I did what almost every author does when they are in need of information; I Googled. I looked at pictures of fashion and hair from her period, of faces from her place and time, of supposed medieval characters from video games that had the warrior look I wanted. With pages of pictures printed, and notes on what I like about each, I tried to draw my character, nailing down the expression, face shape and hair that would carry me through 100,000 words. 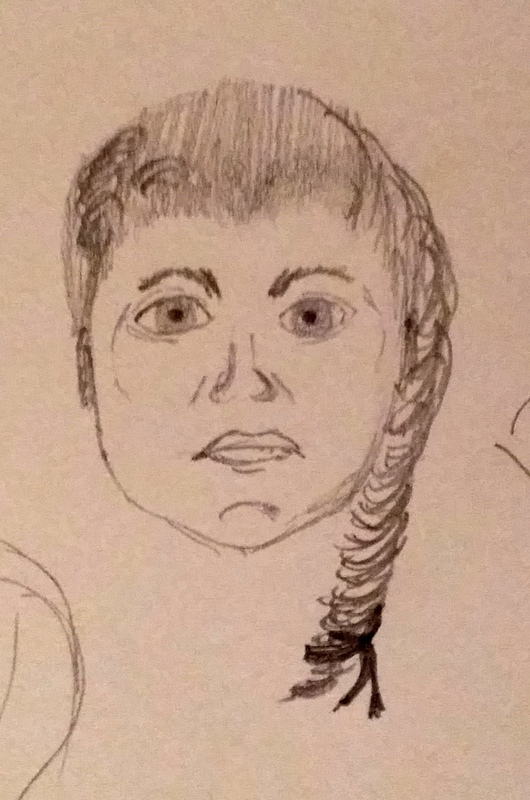 What I ended up with was a doodle of a very ugly person, possibly female. Plan B. I took the same pictures to my visually artistic sister. Then, while watching movies last weekend, she pieced together the fragments of my character. She layered pencil over pencil to highlight features; the eye brows are thick, the lips full, the nose broad, just as I wanted. But the face that looked back at me from the page is most definitely female. I could finally meet Theresa. The more I looked at her, the more of her history and emotion I could see in her eyes and expression. That night, while brushing my teeth, I was able to solve the conundrum of her past that has been plaguing me for months. I dashed to my notebook and scrawled madly in it for fifteen minutes until I was satisfied I had collected every detail I needed, with Theresa watching over me. She is now on my pin board, watching me figure out what to say, waiting for me to begin her story. Next Post WOW! I want to write a book! I write as well, so I can understand the challenges of visualizing characters.